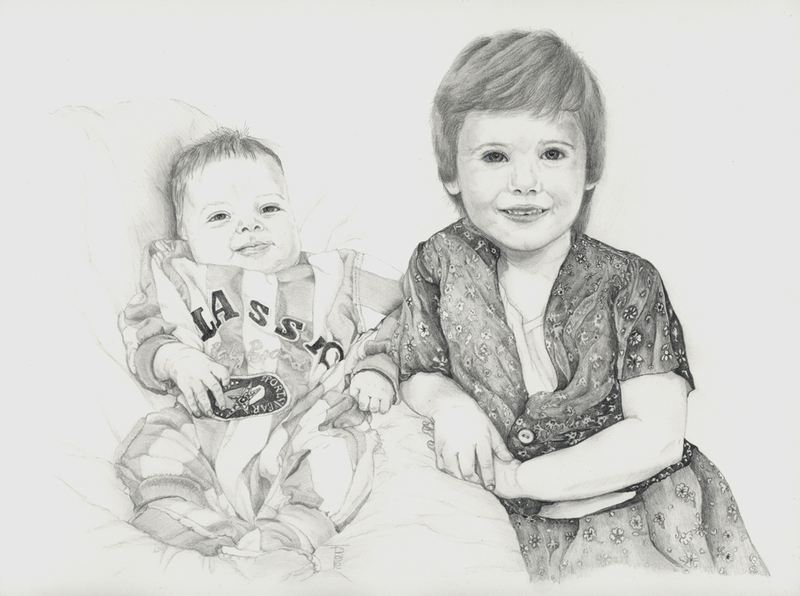 It is delightful to receive a bit of praise for one’s work and today I see that the commissioned artwork Artist Code 1403, “The Grandchildren”, has been highly Commended in the latest SAA challenge competition which was to produce an artwork in one colour. 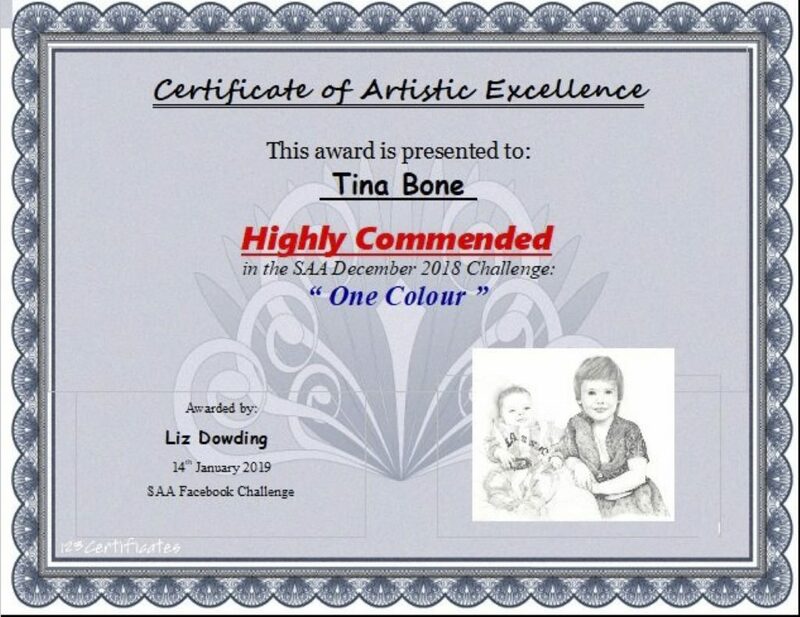 There were some lovely entries, and I was grateful to receive my third commendation from the Society of All Artists. This is the certificate, and below that is the graphite drawing I produced in 2014 on commission.